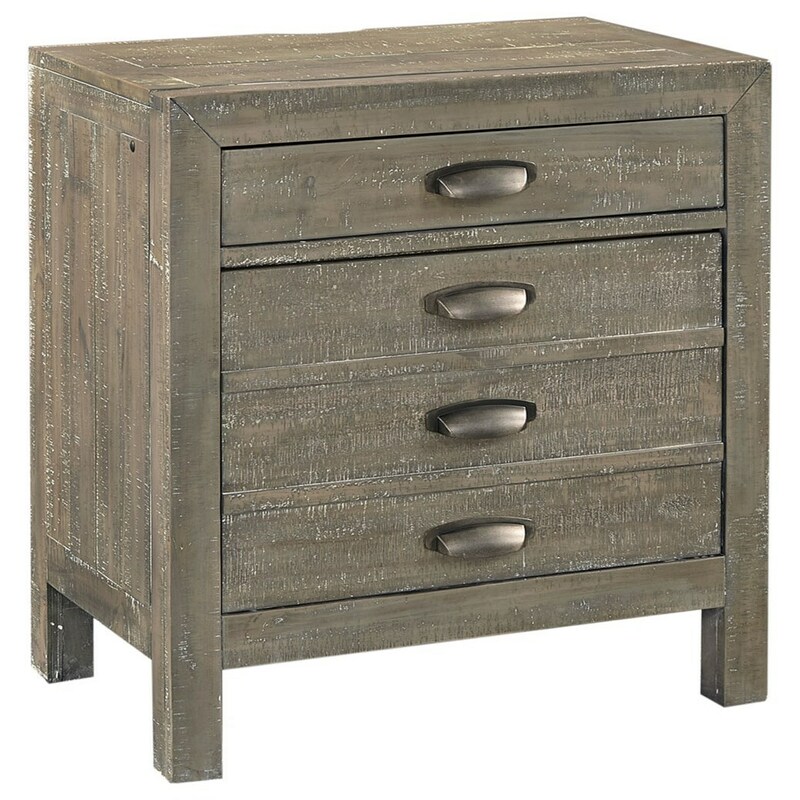 Rustic charm and modern features define this two drawer nightstand. The nightstand includes two outlets, a cedar lined bottom drawer, and a secret compartment in the bottom drawer. The Radiata 2 Drawer Nightstand with Hidden Compartment by Aspenhome at Reeds Furniture in the Los Angeles, Thousand Oaks, Simi Valley, Agoura Hills, Woodland Hills, California area. Product availability may vary. Contact us for the most current availability on this product. The Radiata collection is a great option if you are looking for Rustic furniture in the Los Angeles, Thousand Oaks, Simi Valley, Agoura Hills, Woodland Hills, California area. Browse other items in the Radiata collection from Reeds Furniture in the Los Angeles, Thousand Oaks, Simi Valley, Agoura Hills, Woodland Hills, California area.